Just like makeup, hair trends can be really interesting to follow (and I'm not just talking about runway hairstyles and colours). We are all familiar with our good ol shampoos and conditioners to keep our hair clean and smelling good, however in recent years I have come across the 'no poo method' (which I still have yet to try) and the 'reverse wash method' whereby you start by conditioning and then deep cleaning your hair. 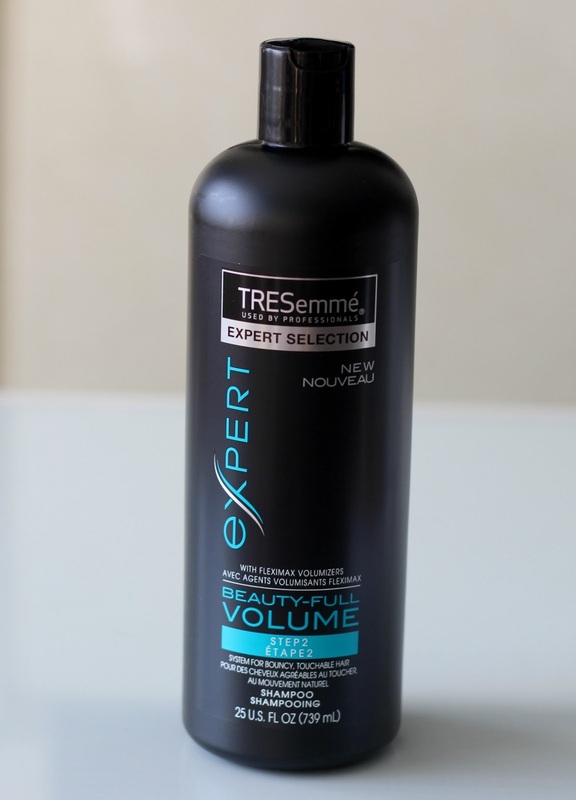 I was recently introduced to the NEW TRESemmé Beauty-Full Volume Collection*, a reverse washing system meant to transform dull, flat hair by making it look and feel model-worthy with added volume and shine. 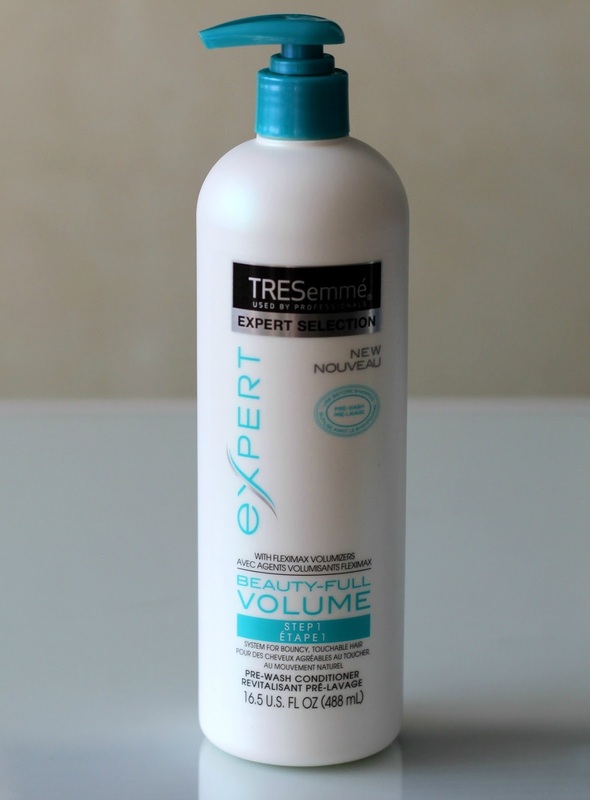 Having tried a few products from TRESemmé in the past but not being particularly impressed, I thought I would give their new Beauty-Full Volume Pre-Wash Conditioner, Shampoo and Hair Maximizer a shot. Skeptical like me? You've come to the right place to find out if these actually work! regular conditioner normally weights our hair down, therefore using it first will avoid having flat and lifelesss hair. It comes in a pump dispenser and has a creamy texture. Step 2, Shampoo, basically involves massaging the product from roots to ends as you normally would. This will help wash away the weight from Step 1 and make your hair easier to style. 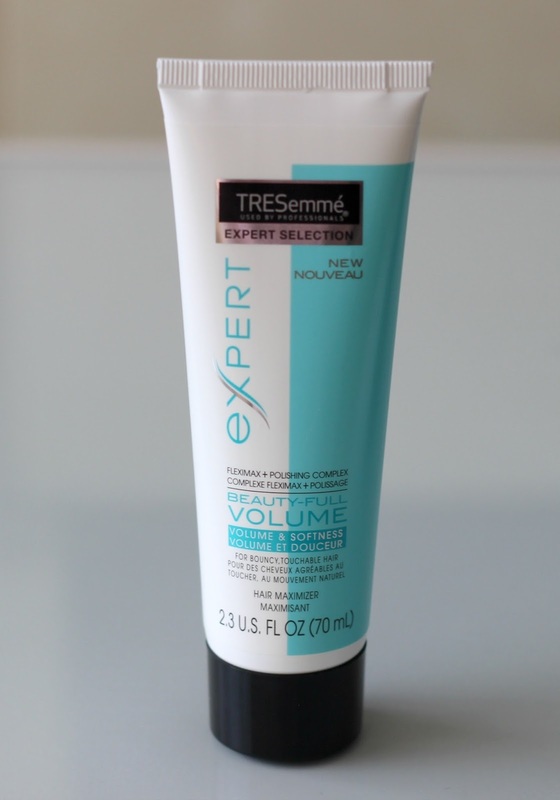 The final step, Hair Maximizer, helps minimize frizz and makes your hair soft and shiny. This can be applied before heat styling on wet hair, or you can simply leave it to air dry as I do while still giving it some added bounce. 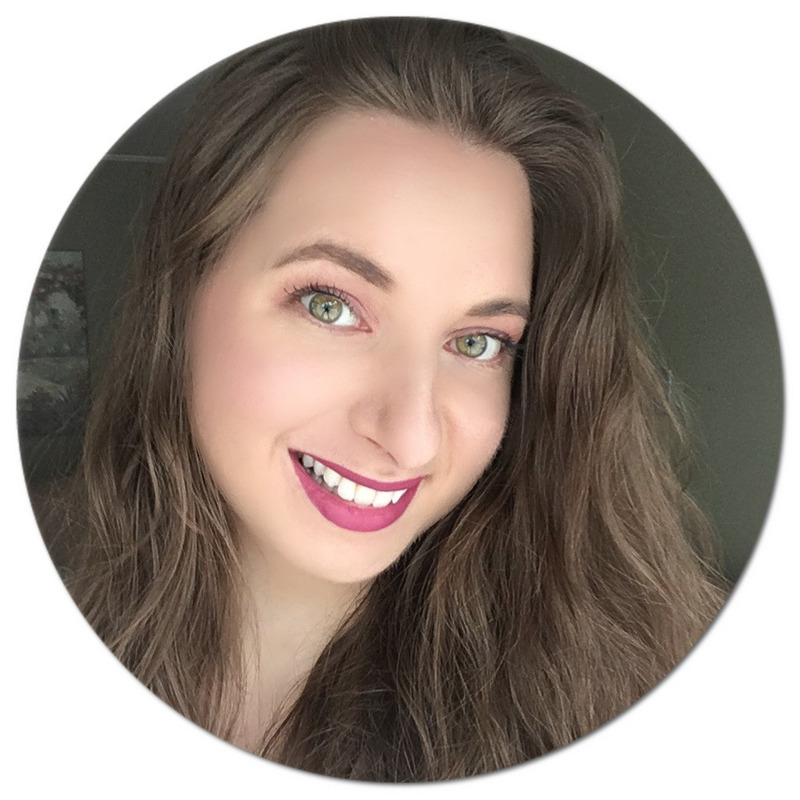 after my first wash, I couldn't believe how full and soft my hair felt. Then, on my second try, I made the mistake of applying Step 1 all over my hair instead of just my ends, which left my hair looking greasy and dull. I thought I was done with it then and there, but later came to realize that I had done it wrong. I gave it another shot, making sure to follow the instructions, and my hair was back to being full and voluminous. The scent is also very light compared to other TRESemmé products, which has detracted me from buying from the brand in the past. 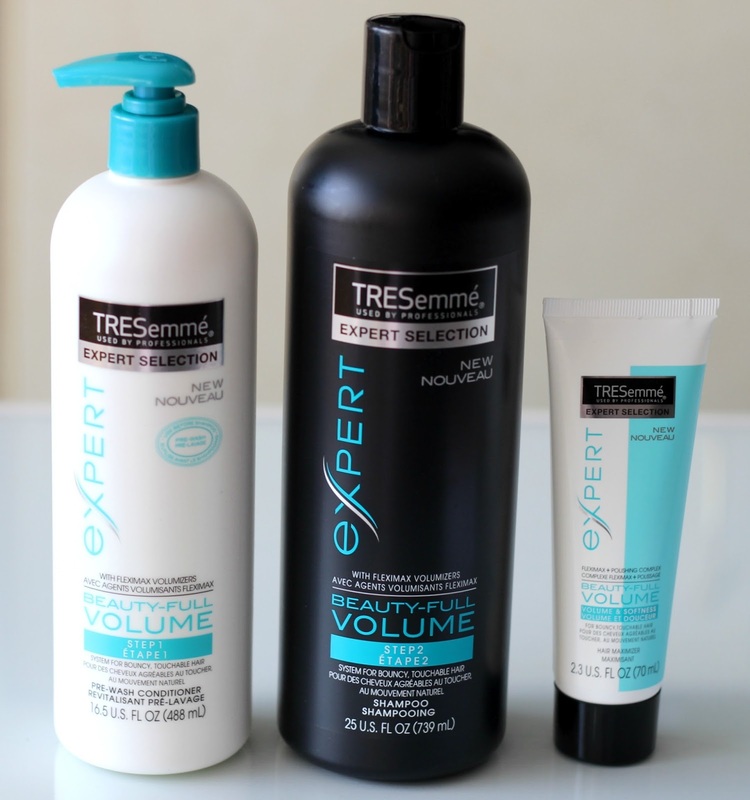 Tresemmé's Beauty-Full Volume Collection is now available at drugstores and mass retailers across Canada. Have you tried reverse washing your hair?